By Amid Amidi | 11/01/2018 7:46 pm | Be the First to Comment! Twentieth Century Fox has released a first look at Spies in Disguise, the new animated feature from Blue Sky Studios (Ice Age, Rio, Ferdinand). Besides Smith and Holland, other key voices include Ben Mendelsohn, Karen Gillan, Rashida Jones, DJ Khaled, and Masi Oka. 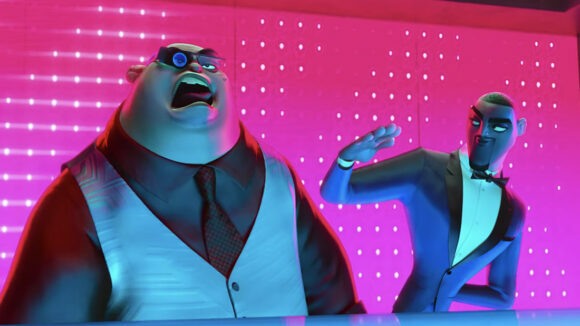 Spies in Disguise is directed by veteran animators Nick Bruno and Troy Quane. It marks the feature directorial debut for both. Michael J. Travers (The Peanuts Movie) is producing. The film is produced by Fox Animation, Blue Sky Studios, and Chernin Entertainment, and was inspired by Lucas Martell’s 2009 short Pigeon: Impossible. Outside of its Rio and Ice Age franchises, Blue Sky’s animated films haven’t generated much enthusiasm at the global box office. In fact, none of the studio’s five non-Rio/Ice Age films have reached $300 million in global box office. The films aren’t cheap to make either; recent ones like The Peanuts Movie and Epic cost $100 million apiece, while Ferdinand had a reported budget of $111 million. 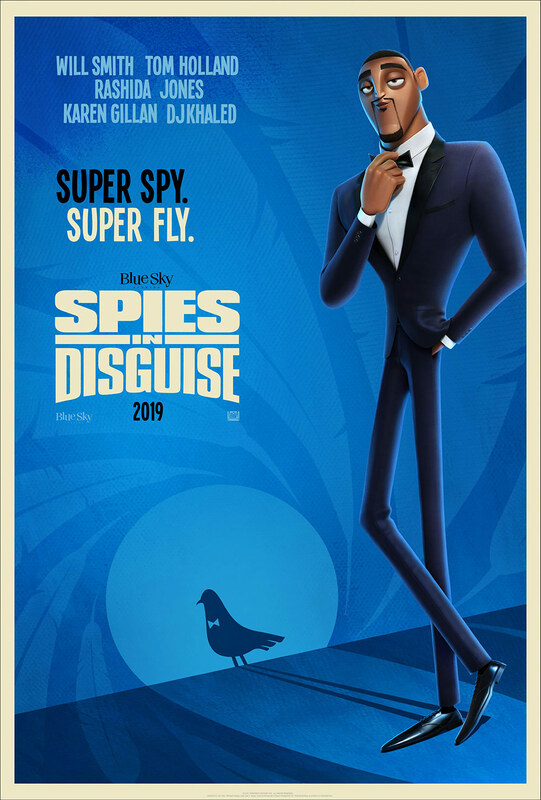 It remains to be seen whether Spies in Disguise can buck that trend. The film’s release date has been shuffled around repeatedly. The last reported release date is September 13, 2019. Disney’s impending acquisition of Fox is expected to close in early 2019, thus making Spies in Disguise the first Blue Sky film released under Disney ownership.